Wow, can you believe we are already in week 8! As we near the end of term 1 I am so proud of how much the class has achieved already so far this year! The last 2 weeks have seen us very busy with lots of visitors of the human and animal variety. 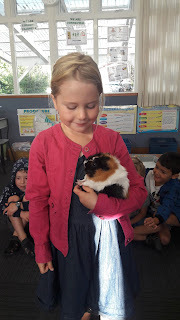 First we had Ashlee kindly bring in her lovely kitten, followed by Mia with her extremely friendly guinea pig. 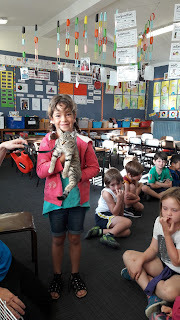 The children loved learning about how to care for the animals and getting to pat them was great excitement. Today we welcomed Jenny Gray into our room for the second time. She is working with the children and our teacher to develop our learning in P4C. 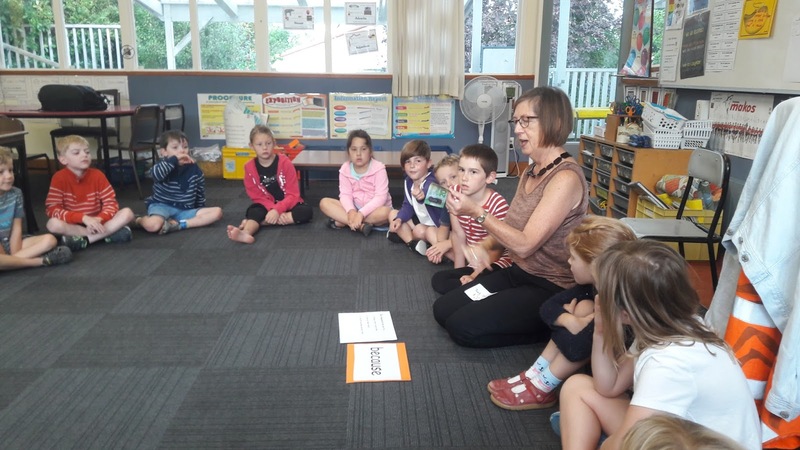 P4C stands for Philosophy for children. It is a way of teaching that encourages and develops the children's questioning and reasoning skills. 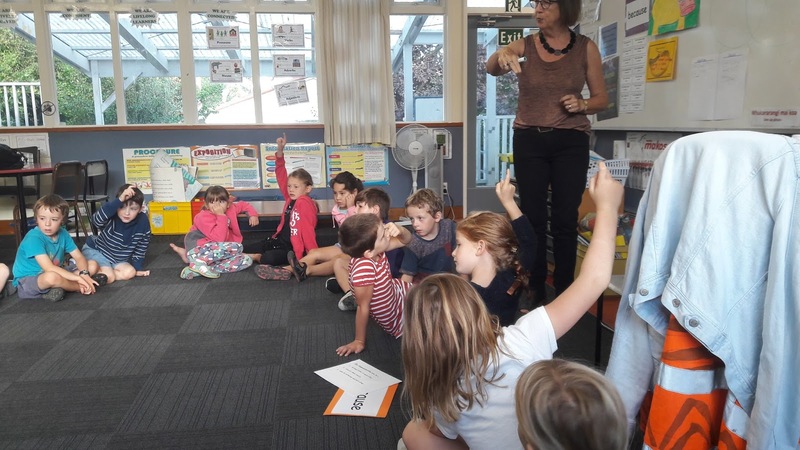 It helps the children to reflect on their skills, and look at how they could improve their thinking and questioning techniques. If there are 9 raspberries and 4 apples in 1 pie how many apples and raspberries would i need to make 5 pies? It was interesting to see the various way each pair were trying to solve the problem. 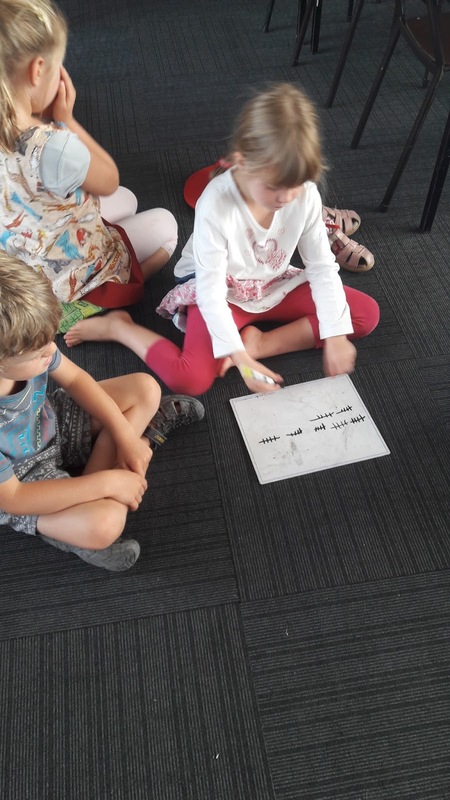 The children used a number of key competencies while working with their partner and the 30 minute lesson soon became and hour. 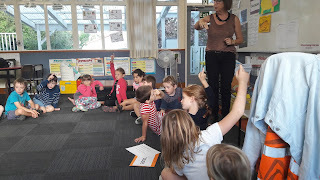 The children were able to verbalise some of their ideas and show that they were using lots of different strategies when working with the numbers. We will be exploring this more over the year so feel free to practice these types of questions at home. .